Happy Halloween everyone! I didn't have time to do a festive manicure so I will share with you something still related to October: pink for Breast Cancer Awareness month. 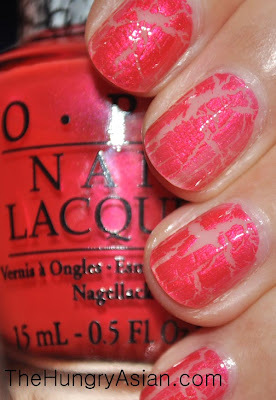 Below I'm wearing OPI Pink Shatter. Here it is plain over naked nails. I don't know why but I like these shatters plain sometimes. I tried it over DS Bold but it was very subtle. 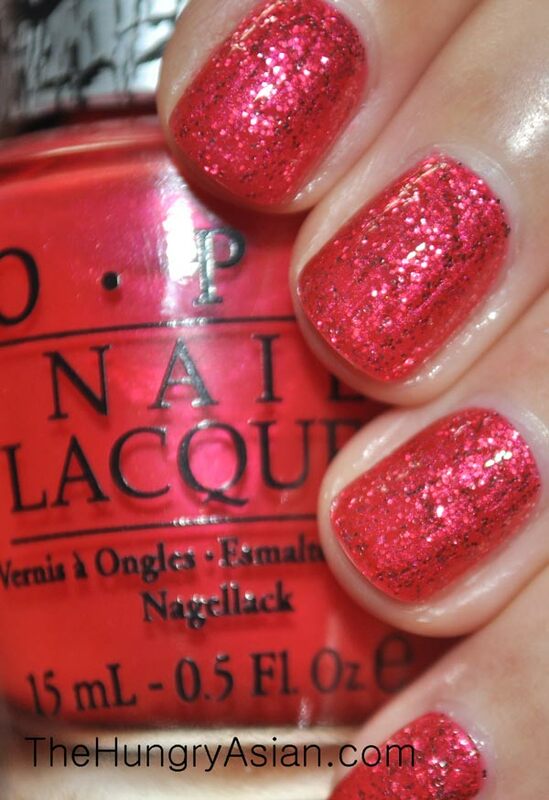 This over $OPI 212. The thicker your coat, the wider the cracks. My middle finger was a very thin coat and my index was thick. I think I like the wide cracks better. Did a really thick coat on my thumb! Bonus shot: here is a pink glitter I made. I'm hoping to include this in a set for the holidays if I can get a base soon. Pink Shatter sent to me for review. 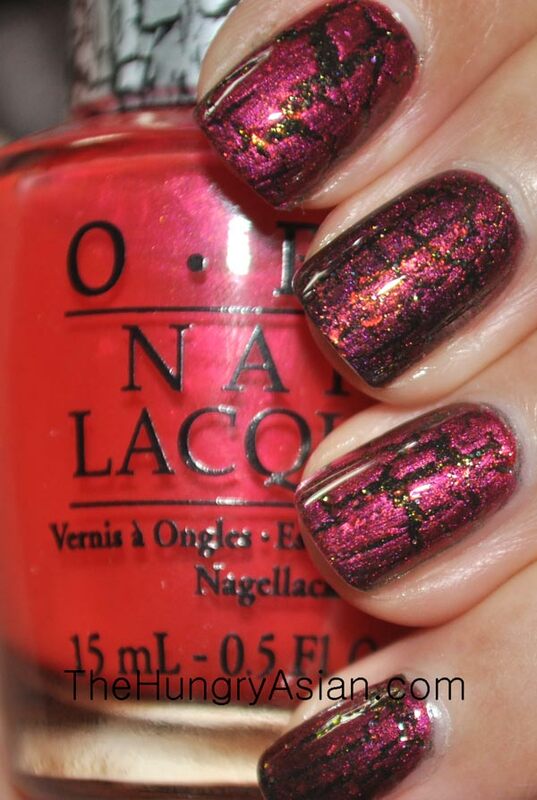 I love the shatter over $OPI 212. And that pink glitter is everything. I can't wait for your next sale!! i cant seem to get my shatter to be done well but urs looks great! I've browsed your blog, looking to see what you had to say about your glitters from Art Glitter as far as whether or not they bled. Well, that and the additional question, have you tried any of their Dazzlers and do they bleed? 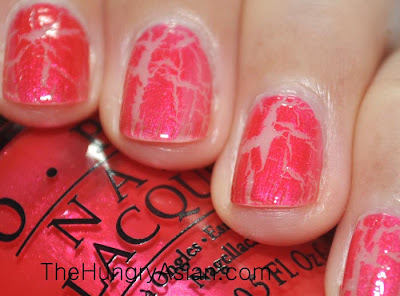 I think this Pink Shatter is the only one I really really love, though I'm not sure why. 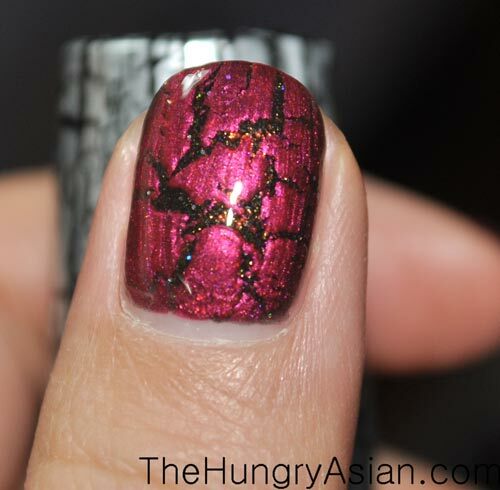 It actually looks really nice over bare nails, too! Would not have thought to try.